Part of a larger map covering Otaki as well. This is looking east with the coast at the bottom. 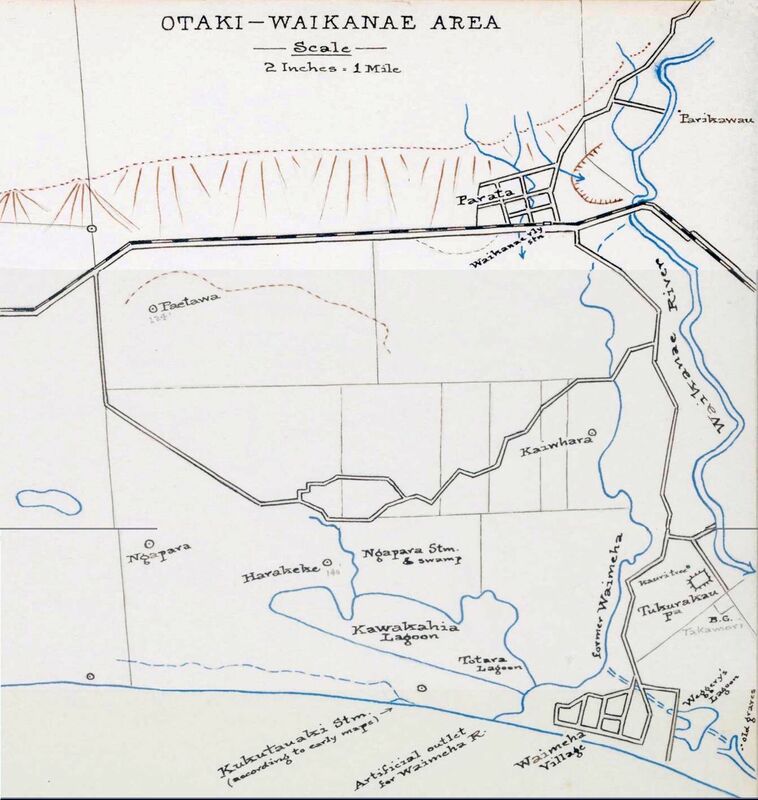 The township was then known as Parata Village and the beach as Waimeha Village; both were small compared with today. See earlier posts.